Joseph Vargas is a local Marylander. He was born and raised in Baltimore, Maryland. He attended The University of Maryland, College Park for his undergraduate degree. He then went on to The University of Maryland School of Dentistry in downtown Baltimore where he received his Doctor of Dental Surgery in May of 2008. He is strong believer in continuing education and is a member of the American Dental Association, Maryland State Dental Association, and the Patuxent Dental Society. Upon completing dental school, he elected to further his training by completing a general practice residency at the Baltimore Veterans Affairs Hospital. He had the invaluable experience of providing all phases of dental care for our veterans. In this program, Dr. Vargas trained under the close mentorship of a cosmetic dentist, oral surgeon, periodontist, and endodontist who currently work in their own respective private practices. With this unique experience, he was able to provide the most current evidence-based dentistry for our veterans. He enjoyed providing quality care and building relationships with our veterans. 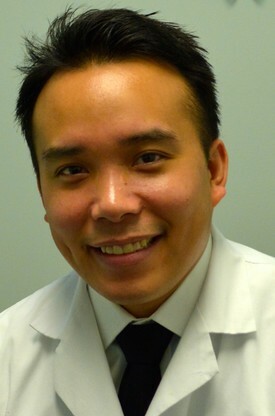 After completing his residency, Dr. Vargas worked in southern Maryland in private practice for a number of years. He continues to volunteer with the southern Maryland community through their Mission of Mercy. This program provides free dental care to underserved populations who would otherwise be unable to receive dental care. In 2013, Dr. Vargas began practicing dentistry in his home community of Crofton. He resides in Crofton with his wife Lucy and their three children.